Fall is here and we are seeing an increased seasonal slowdown in the Denver Metro home market. 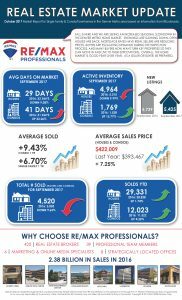 Showings are slowing down , open houses are back, mortgage rates have risen, sellers are reducing prices, buyers are escalating demands during the inspection process, and many buyers now want turn key properties so they can move in and live to their expectations. Overall, the home market is good year over year. As a seller or buyer, be prepared.